It’s been a while since we talked about a real-life heroine of the nineteenth century, but I hope you agree that Flora Augusta Pearson Engle fits the bill. Flora was one of the Mercer Belles, those ladies who traveled west with Asa Mercer to help civilize Washington Territory. Her sisters and father came on Mercer’s first trip in 1864. Flora, her mother, and her brother came on the second trip that brought my heroines Allegra Howard (The Bride Ship), Catherine Stanway (Would-Be Wilderness Wife), Rina Fosgrave (Frontier Engagement), Maddie O’Rourke (Instant Frontier Family), and Nora Underhill (this month’s A Convenient Christmas Wedding). Flora was only 16 at the time. I wish I had a picture I could post, but you can see one at Find-A-Grave. Born in Rollinsford, New Hampshire, Flora was the daughter of Daniel Pearson and Susan Brown Pearson. Daniel worked as a supervisor in the local cotton mill until the Civil War interrupted. By 1864, he was unemployed and in poor health, so travelling west must have looked good. The plan was for him and Flora’s sisters Georgie and Josie to move out first, and then to send for Flora, her brother Daniel, and her mother once they were settled. Right away fate intervened. Georgie and Josie were immediately assigned to teach school on Whidbey Island, in the town of Coupeville, but Josie died suddenly walking home from class one day. Daniel, who had been working across the Sound, moved to Coupeville to be near Georgie. 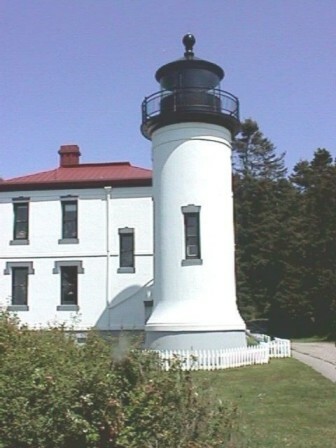 He was appointed keeper of the Red Bluff Lighthouse, what is now known as Admiralty Head. Georgie, then 17, became his assistant lighthouse keeper, the first woman to do so in Washington Territory. By the time Flora arrived, however, Georgie had a serious suitor. They were married in the lighthouse parlor less than a year later, and Flora stepped into her sister’s shoes as assistant to her father. She earned approximately $625 a year for the post. For the next ten years, Flora kept the lighthouse log, recording incidents both important and trivial, and sending a report to Washington, D.C., every month. It wasn’t hard for her. She had kept a diary for years, including chronicling the voyage that had brought the Mercer Belles to Washington. She was a society reporter for the local newspaper and later wrote many articles about local history. Legend has it she spelled the town of Coupeville without the middle e, and it took the government to change the name back years later. Sounds to me like Flora had a few suitors herself. I'm not sure what Flora was looking for in a husband. At that time, she could have taken her pick. 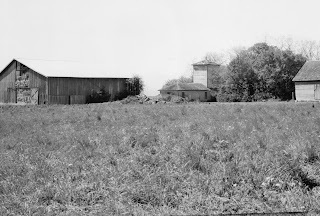 In 1876, when she was 26 years old, however, she married a local farmer, William Engle, nearly 20 years her senior. They had a lovely honeymoon in San Francisco. But even the birth of her son, Carl Terry Engle, a year later didn’t stop her from reporting to work. He was born at the lighthouse, and she noted it in the log. She continued working at the lighthouse until her father’s retirement in 1878, staying on one more month to help the new lighthouse keeper get oriented. Flora and William moved to his farm, but that wasn’t the end of her contributions to the community. She championed the building for the first board sidewalks in Coupeville and led efforts to restore the Davis Blockhouse, a fortified cabin built around 1855. She appears to have been a member of the Ladies of the Round Table, a local club I’m eager to learn more about (future book, perhaps?). When her mother died in 1890, she took in her father until he died seven years later. Flora lived until she was 85. Her grandchildren and great-grandchildren remembered her as a woman of indefatigable energy. She may have made a name for herself as a lighthouse keeper, but I think it was her light that shined the brightest.